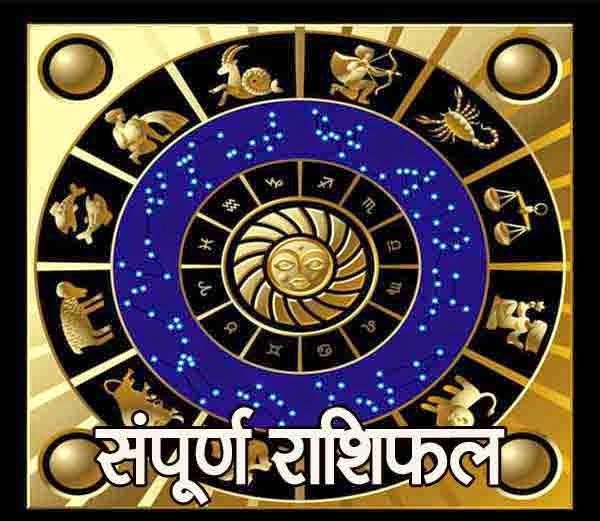 The Month June, 2016 is about to start and all the people are eager to know their monthly astrology prediction for each zodiac sign. For all the visitor of astro upay, here is the monthly prediction for all zodiac sign for the month June 2016. Aries: Your speech, planning, management and intellectual skills, will go beyond betterment. Friends will support you in gaining profits. Desires related to creativity, artistry, travelling and similar interests will fulfill. However be very careful with your vehicles, else injuries or accidents are possible. Unexpected workload in business will raise your income plus your savings. You will meet some influential and powerful people. It would be good to stay away from share market and betting. Some physical troubles are also expected. Be very careful at heights and risky locations. Visit Lord Hanuman’s temple every Saturday and Tuesday. Taurus: Service class people might change their jobs this month. Promotion and workload both are foreseen for you this month. Luck will support you completely. Problems of conjugal life will give you reasons of concern. Hectic work schedule will not allow you to give proper time to your family. Progress plus prestige, both will enter your life. Students will get success in their field. As luck is extremely powerful, you can expect great profits even from putting less effort. Make the best of this time. Misunderstanding will eliminate between love birds. Excellent phase for your love life. Donate black or blue colored cloth to the needy on Saturday. Gemini: This is the time when many old problems will get resolved. Promotion and change is also foreseen. Your plans will accomplish without hurdles. Work related foreign trips are also possible. However, health needs to be your priority. Be careful while driving. You will spend maximum time in religious activities. Support of father and seniors will also help you a lot. Slight ups & downs are possible in financial life. You are expected to get relieved from business loans. Savings will increase during month end. You will present yourself in the best way at work front; thereby, earning profits. Wear emerald embed in gold in little finger, on Wednesday. Cancer: Time is favorable for getting success in your professional life. Hard work will settle many things down. Some troubles might occur if you are planning to take any loans. Staying confident throughout the month will help you in resolving problems in your work. Avoiding any foreign business tours will prove beneficial to you. Keep your business plans as a secret or your enemies might take its advantage. Your health will remain good during this period. Take good care of your mother’s health. Expenditures spent on religious excursions might increase this month. Keep Kuber Yantra at your place and worship it regularly. Leo: Situations of risk are arising at your workplace. Businessman must make sure they do not behave abnormal with anyone. Income and expenditure might stay stable. You will develop a tendency to use modern techniques. You will try to change your job in the last phase of the week. Your lack of trust on your partner can increase your problems in love. Apply caution while giving money on debt for business matters. Possibilities of financial losses are there. Avoid changing your planning’s at workplace. You might feel dissatisfied with the arrival of income. You can keep Shani yantra on your workplace and worship it regularly. Virgo: Month will give you average outcomes. Time might appear good to those engaged in politics. If you wish to complete your pending works, hard work is very much required. Things don’t look very much favorable in investments. Make your decisions after understanding all aspects of the situation. Relationships might get better with your family and friends. Taking advice from your seniors and other experienced person might prove beneficial for you. Do not make any place for distrust in your relationships. Worship Lord Krishna to get positive results. Libra: Good outcomes are predicted for you this month. Politicians may find the competition hard this month, but do not worry as success is assured if appropriate hard work is done. You must drive safe and stay cautious as you might hurt yourself this month. Keep your mind stable and engage yourself in spirituality. You might also plan to visit pilgrimage this month. Support from your life partner is also predicted. Your expenditure on luxurious items might also increase. Try to work in coordination with your colleagues and subordinates. Keep Sampoorna Rog Nashak Yantra at your home and worship it. Scorpio: Time is favorable for increasing your wealth. However, you will spend more than you earnings. Politicians, lawyers, professors, railways employees, chemical specialist and post officers will also get benefited in this cherishing. Profits are foreseen those who are doing business in iron, metal, oil or other related products. You may find interest in religious work. Many journeys are predicted for you. If you have children look after their health. You may plan to get sudden in foreign countries as well. Worship Shani yantra. Sagittarius: This month will bring you more money. But savings might decrease due to increased expenses. Your powerful contacts will help you in completing majority of works. Work load will also increase but you will try to complete everything within that deadline. Profits are possible from short journeys. Special attention is required for your health. Bonding with children will taste this time. This also applies to your love life. Try to understand needs of your loved ones. Wear Ekmukhi Rudraksha. Capricorn: This month looks good for you. Though, challenges will come at work front but you can come out shining by keeping your focus on. You should try to improve your decisive abilities so as to take decisions on time. Avoid taking alcohol and be very careful while driving. At times, you will feel tired or dull or disappointed. It will be good to reach out closed friends. Bond with sibling will improve and you will enjoy quality time with loved ones. Patients of blood pressure or heart issued needs to be tackled very carefully. Feed a black dog with rotti. Aquarius: June looks quite rewarding for your financial life. Time is good to take loan. During this month, your expenses will exceed your income. Some journeys are also expected for you. The more you work hard towards your goals the better will be the results. Take good care of your health and family members as seasonal diseases might affect them. Minor arguments are possible with spouse. Be very careful and keep control on your temper. Some of you might think to settle down abroad. Worship Shani yantra. Pisces: June looks quite tricky regarding finances. It would be good to avoid being egoistic and solve every problem on time. Try saving money and cut off useless expenses. Unexpected events are possible in your family. Don’t let your efforts fall down and keep on working hard to get the desired results. Luck might not support at times. Businessmen will go through some disappointments this month. Before finalizing any decision, weigh its pros & cons carefully. Rather than depending on anybody, try being self dependent throughout this month. Visiting any pilgrimage is also possible. Offering water to Lord Sun will improve your stars.